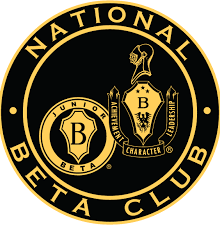 The Beta Club members at East Bladen and West Bladen High Schools are in Greensboro this weekend to compete at the state the annual Senior Beta Club Convention held at the Sheraton Four Seasons Hotel and Koury Convention Center. Khalil McKoy of East Bladen High School will campaign for the seat of President and William David deAndrade of Harrells Christian Academy will campaign for the office of Secretary. In the Performing Arts Solo, Duo, Trio category the Betas of West Bladen High School will be competing. West Bladen High School, and Harrells Christian Academy will also be competing in the Performing Arts Group category. Harrells Christian Academy will also be competing in the category of the Performing Arts Show Choir. There will also be award presentations and other individual competitions as well. We at Bladen Online wish all of our Bladen County students well as the prepare to take part in the convention. Check Bladen Online and our Facebook page for convention news and updates.